Fall will be here soon and that means it’s nearly striper trolling time in the Sacramento-San Joaquin delta. This being the case I figure this is a perfect time to go over the basics of Delta striper trolling. I know there are a lot of aspiring trollers out there in Fish Sniffer Country and I want them to get started on the right foot! Speed and depth are the two key concerns when it comes to trolling for delta stripers and everything else you do stems from these two conditions. Speed and depth…remember that. Before we really examine the significance of speed and depth, let’s take a look at the tackle required for trolling. 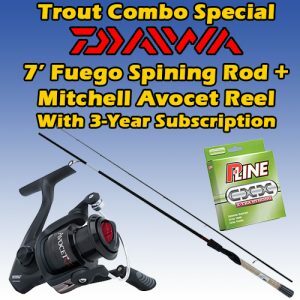 For starters you’ll need a modern lightweight rod that combines a sensitive tip with plenty of backbone. Since your rod will be in a holder while trolling, you might be wondering why it needs a sensitive tip. The sensitive tip, displays the action of the plug. If your plug picks up a weed or a piece of grass, it kills the action and you won’t get any strikes. A sensitive tip allows you to constantly monitor your plug’s action insuring that you have an effective lure in the water at all times. The rod should be matched with a high capacity level wind line counter reel loaded with 30-pound test braided line. After threading the braid through the eyes of your rod, put a large bead on the line and then tie on a swivel using a Palomar knot. To the swivel attach a 4 to 6 foot leader of abrasion resistant 30-pound monofilament and tip the leader with a medium size lock snap. Once you’ve set up a pair of rod and reel combinations, it’s time to start thinking about lures. 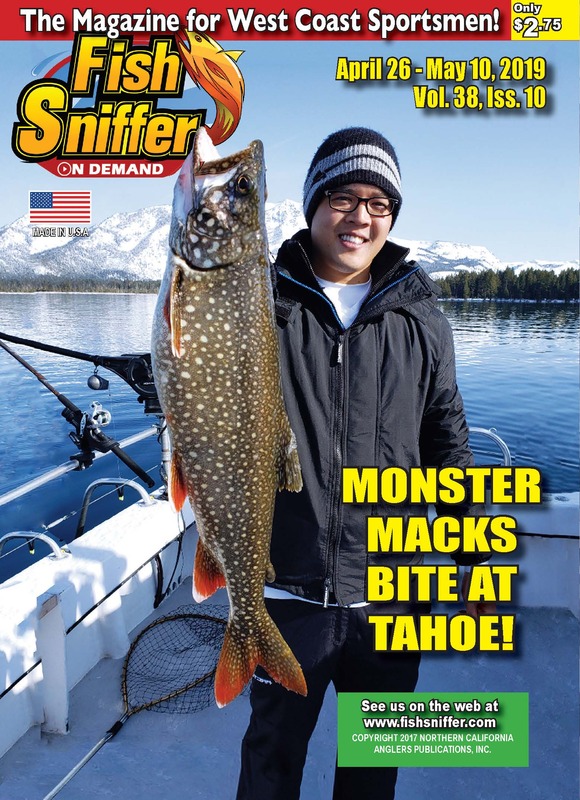 Minnow plugs, jigs and vibrating crankbaits are the basic offerings employed by successful Delta trollers. Yo-Zuri Crystal Minnows are the favorite among Delta trollers. You’ll want an assortment of shallow and deep running Crystal Minnows. In terms of colors and finishes, minnow plugs in rainbow trout, chrome/blue, chrome/black, chrome/chartreuse, metallic gold and red head/white body will all put fish in the boat. With an assortment of plugs in hand, you’ll need to pick up a package of white 6 to 8 inch straight tail plastic worms. You’ll use these for tipping the rear hook of your minnow plugs. In terms of tackle, once you hunt down the stuff we just discussed you’ll be ready to hit the water in search of stripers and that’s where the concepts of speed and depth come into play. 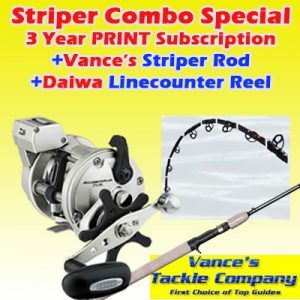 In the eyes of delta trollers there are three kinds of stripers. There are shallow fish, deep fish and fish that are too deep to target. Shallow fish hold from right next to the bank to about 10 feet deep. Deep fish are found in water that is about 11 to 16 feet deep. 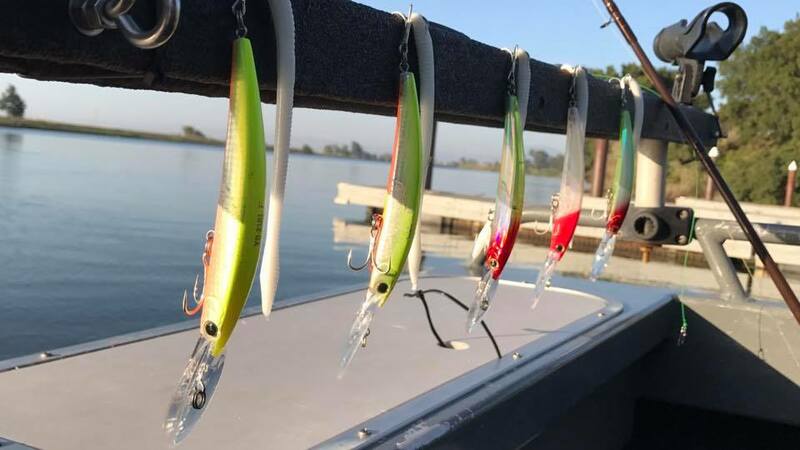 Fish holding much more than 18 feet deep become difficult to target and generally the bass that are holding beyond the 20-foot mark aren’t as active as the shallower fish. In 11 to 16 feet of water you’ll need to employ your deep running minnows. 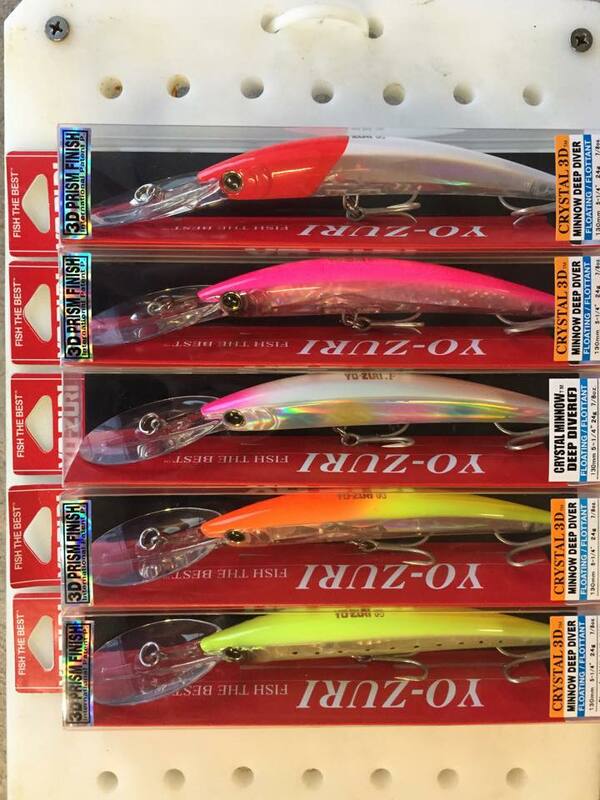 With these baits you’ll want to troll at 2.5 to 3 miles per hour. As a rule of thumb you’ll want your deep runners 100 feet behind the boat, but that can vary depending on the depth. Your goal no matter what the depth is to have your plug working right above the bottom. If the water is on the deep side, you might need to let out more than 100 feet of line. If the water is on the shallow side, but still too deep for shallow running plugs, you might need to shorten your line to 60 or 80 feet to keep the plug from digging into the bottom.